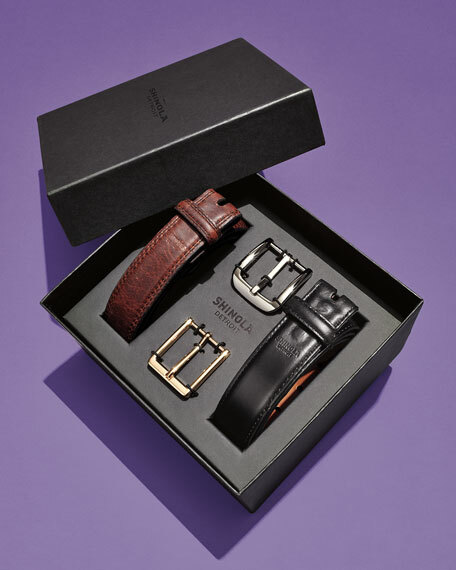 Shinola boxed belt gift set. 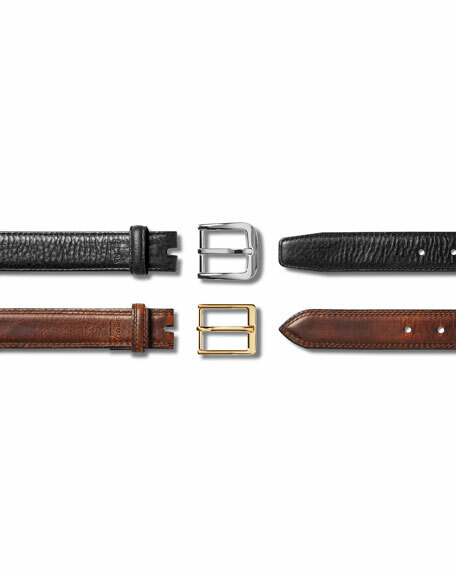 2 Interchangeable leather belts in Black and Bourbon. 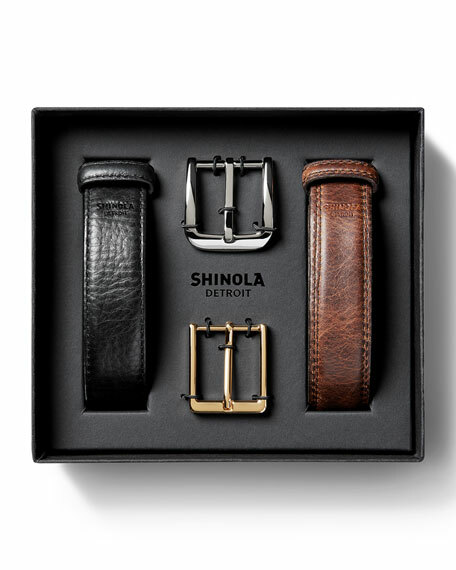 2 Interchangeable buckles in shiny golden and shiny silvertone. 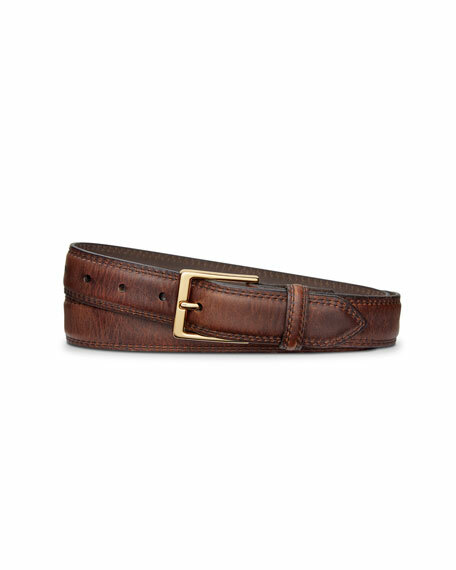 Adjustable fit; 1.25"W x 32"-42"L.